Is Historical Racial Discrimination a Barrier to U.S. Parks? The journal Leisure Science published a report in June, “Bourdieu and African Americans’ Park Visitation: The Case of Cedar Hill State Park in Texas,” by University of Missouri scholar Kang Jae Lee. Lee interviewed black residents of different ages and varying incomes all living near Cedar Hill Park in Dallas, Texas. 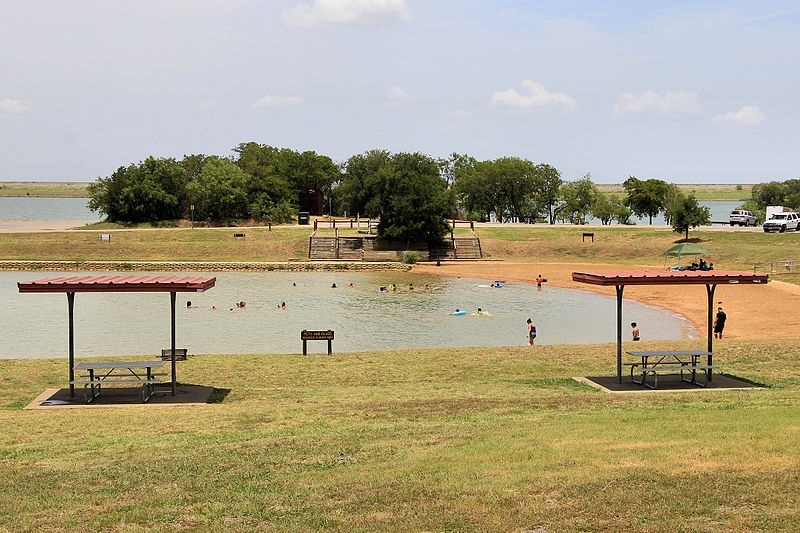 According to the Atlantic article, black communities make up more than 50 percent of the immediate area surrounding Cedar Hill Park, yet only 11 percent of those who visit each year are African Americans. Lee’s research found emotional, historical, cultural, and/or fearful barriers that block easy access to the 1,800-acre park. Residents talked about traditions, culture, and generational messages that have been passed down, including possible feelings that parks are just not for the black community, as well as the traditional security of being at home with family. One respondent shared a feeling of “not belonging” at the park. Another said there was no encouragement to attend park activities. For many African Americans, especially those of an older generation, being outside brings up concerns about safety. Autumn Saxton-Ross leads Outdoor Afro events around Washington, D.C. Growing up, her grandmother used to take her to Watermelon Hill in Kansas City’s Swope Park. Until desegregation, it was the only place in the park that black people were allowed to visit. With that history in mind, Saxton-Ross’s grandmother wouldn’t take her to other parts of the park, even in the 1980s, long after segregation had ended, for fear that something bad might happen. A 2009 survey of attendance at Yosemite found that just one percent of their visitors were black, which paints a picture of the work ahead. Rue Mapp, the founder of Outdoor Afro, a network created to encourage and inspire African Americans to enjoy nature, has taken on a major project that has since expanded to 28 states. In addition to the work of Outdoor Afro, the National Park Service has announced goals to diversify both their visitors and workforce leading up to this year’s centennial. More than just leisure and play, parks can play a crucial role in the health and unity of a community. Stanford University found that simply walking in nature might have mental and physical health benefits compared with walking in urban settings. For minority populations, which carry a higher burden of poor health outcomes year after year, the lack of access to an improved quality of life is an important gap that warrants serious attention.